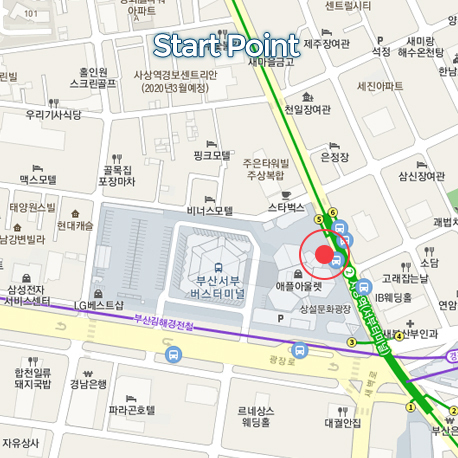 PT-05 �쇰㉧���몃�� 遺��� �ъ�� ���몃��ㅽ�곕�몃������ �������� �� 肄��ㅻ�� ����媛� ��履� ���� �곕�� �⑥そ�쇰� 吏�吏��⑸����. 15km瑜� 媛�硫� �⑥��履쎌�쇰� 諛��ㅻ�� 蹂� �� ���듬����. 洹멸납���� 泥� 踰�吏� 而⑦�몃· �ъ��� 李��쇱���� �⑸����. �ш린�� 吏��닿�吏� �⑦�댁�� 議곗������ 遺����ㅼ�� 吏���怨� 援щ�援щ� �댁����瑜� ������. �댁��媛��� 諛����� �ъ�댁�� �④꺼�� ���� ��媛��� 硫�異� ���� �댁�留����ㅻ�� 吏���媛�����. 吏��댁�� 李쎌���� 諛�濡� 蹂댁�닿� 以����쇰� 留��곗�� 媛�濡�吏�瑜대�� 寃�怨쇰�� 苑� ��議곗��������. �댁�� 肄��ㅻ�� ����媛��쇰� �댁�댁�����. 移����� �� 踰�吏� 而⑦�몃·�� 吏���怨� 諛��ъ���� 媛��� 媛�濡�吏��� 諛����쇰� �ν�⑸����. 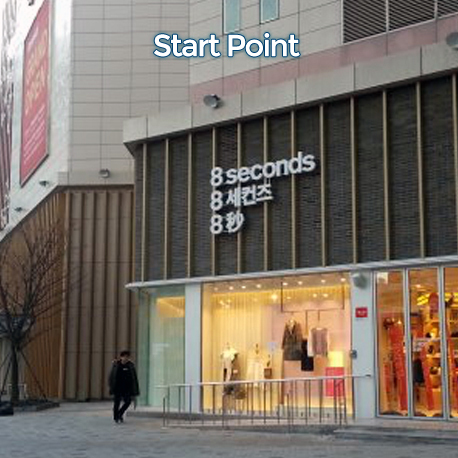 諛������� �쇨� 援쎌�댁��� �ㅻⅤ留��� �� 釉���踰����� 媛��� ��由��ㅼ�� 怨녹������. 162km瑜� �щ�ㅼ�� 媛��� ���� 吏����� �대� 390m�� ��李⑺�⑸����. 吏�湲�遺��곕�� �� �댁���� �ㅻⅤ留��� ��怨� ����源�吏� 硫�吏� �대━留��� ���듬����. ����媛� ����嫄곌만�� 肄��ㅼ�� 留�吏�留��� �μ���⑸����. After starting at the Seobu (Sasang) bus terminal in Busan, the course goes straight south along the west bank of the Nakdong River. After 15 kilometers you can already greet the sea in east, south and west direction! There, a picture is required at the first control. Then until Jinhae, views of the Southsea are sometimes exchanged for shipbuiding industry and ports but the route remains winding along the shoreline most of the time. Hidden in bays between rocky outcrops, there are numerous fishing villages where time seems to have stood still. This is a coast of big contrasts. 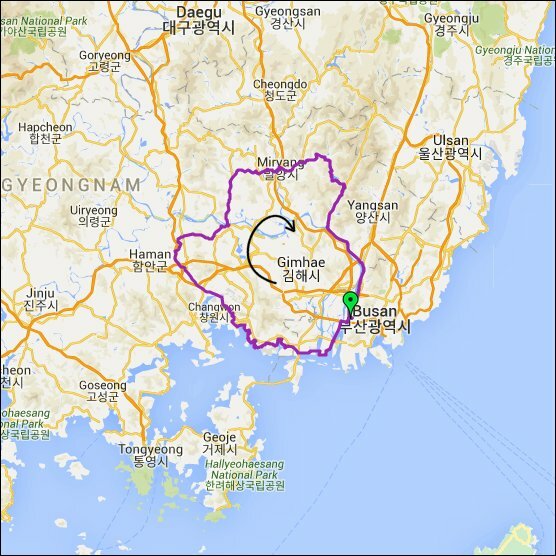 While the cities of Jinhae and Changwon are merely touched, Masan has to be passed right through the center. The course now goes to the Nakdong River, passing control 3 at Chilwon and crossing the river at Bonpo to head for Miryang. Then the most scenic part of this brevet is coming when the road winds uphill along Miryang Lake. After 162 km the highest point is reached at an elevation of 390m above sea level. 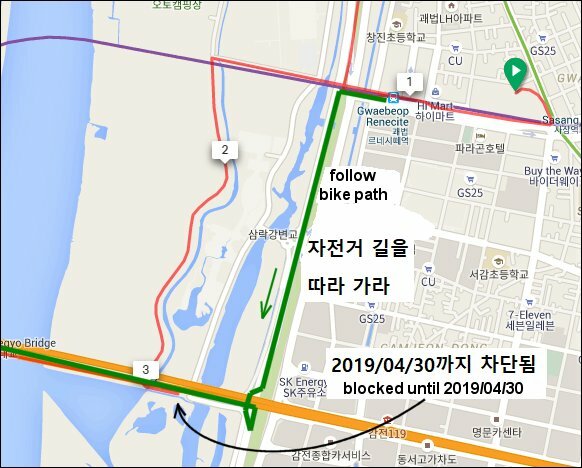 From then on: no more climbing and after a wonderful descent to Wondong, it's the Nakdong River biketrail that forms the last part of this course.